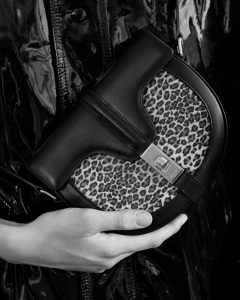 Photographer Rahel Weiss and stylist Alice Lefons showcase the next season’s handbag collection from Hedi Slimane’s Celine which take inspiration from archival references and Celine’s Parisian roots. 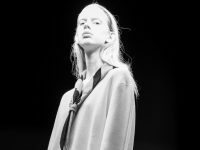 Model Madeleine Hulm at Storm Models. Hair Sarah Jo Palmer. Make Up Linda Andersson using MAC. Set Design Alicia Howitt. Casting Director Abi Schwinck at Made Casting. Photo Assistants Liam Clarke and Lewis Robinson. Styling Assistant Lisa de Chiree. Blouse, coat, rings, and 16 bag by Celine by Hedi Slimane. Coat, boots, and Triomphe bag by Celine by Hedi Slimane. 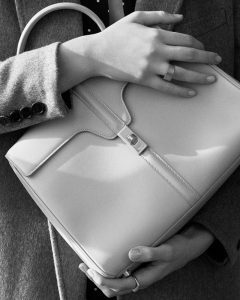 Coat and small 16 besace bag by Celine by Hedi Slimane. Left: Dress and Triomphe bag by Celine by Hedi Slimane. 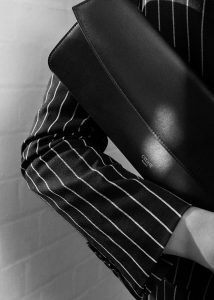 Right: Shirt, jacket, ring, and baguette evening clutch by Celine by Hedi Slimane. 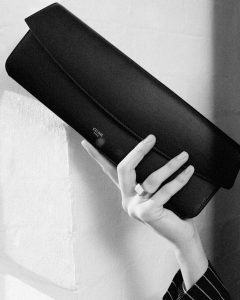 Dress and small pampille C bag by Celine by Hedi Slimane. 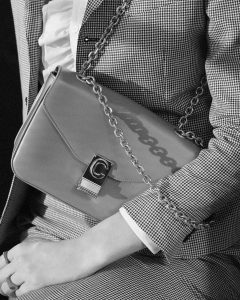 Jacket, pants, and baguette evening clutch by Celine by Hedi Slimane. Left: Dress, boots, and 16 bag by Celine by Hedi Slimane. Right: Shirt, jacket, pants, rings, and medium C bag by Celine by Hedi Slimane.